The rumour-mill is yet again running hot in anticipation of the latest refresh of Apple's flagship iPhone device. It's been 10 years since the iPhone first hit the streets and revved up the mobile app marketplace revolution that has been responsible for keeping many businesses - including our very own Creative Intersection - busy engineering and deploying mobile apps. 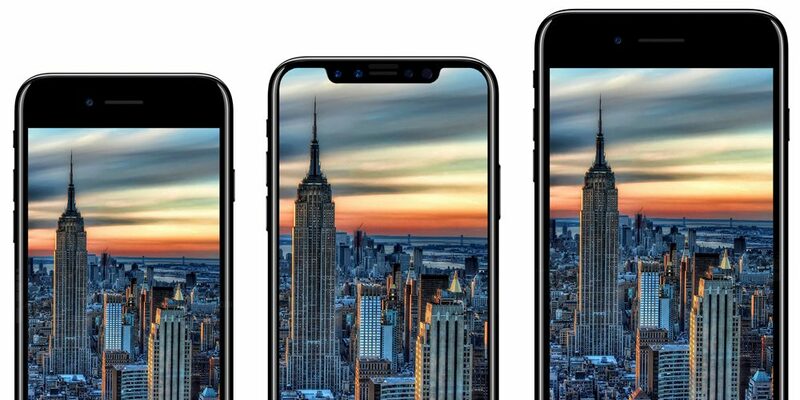 Our insiders (and lots of leaked reports) tell us that there are some interesting things happening with this milestone release .... tipped to be called the "iPhone Pro". Aside from sporting an AMOLED screen, which is brighter, crisper, more vivid and less power-hungry than the current crop of iPhone screens, there are rumours about touchID being removed from the device and replaced by facial recognition. Whilst facial recognition is likely to appear on the new iPhone Pro, touchID is likely to stay despite the all-glass front (with a screen that spans the entire area of the phone, there is no room for the traditional "home" button). Apple rarely do leaps-and-bounds innovation these days, so their iterative approach would have the touchID sensor still being available in some way - if only to not scare existing users into thinking that they're being watched and probed every second of the day by the nefarious creatures that inhabit their digital security blanket. Ultrasonic fingerprint sensors developed by Qualcomm, for example, are not quite ready for prime time, so how could Apple still include a touchID sensor without having to resort to a rather pedestrian placement like the back of the phone (where the logo sits, for example) ? The touchID sensor in a standard iPhone and iPad is in the form of a circle (the metal bit around the home button) that can sense ridges along that edge boundary. Do some maths on the ridges being detected (in the form of an algorithm, described in Apple's "Efficient Texture Comparison" patent) and you can work out with a fairly high degree of certainty that the finger touching it is a match. Now straighten the circle into a line and you still have a decent sensing area (a high number of ridges) ... then apply the same algorithm (modified slightly) and you still know that the finger touching it is a match. So - why wouldn't you just put the touchID sensor along the side edge of the phone ? It only needs to extend along a part of the edge, and if one is placed on either side then the sensors can work in tandem to provide faster sensing with high accuracy (two half fingerprints are as good as a whole one). Maybe it'll need to be renamed to "gripID" but would still work the same way. Cases would need to be modified to include access to the sensor, but every new iteration of any mobile phone needs some modification to cases anyway - so it's just a good opportunity to sell more cases. Tune in to Apple's live stream from their shiny new Spaceship Headquarters on 13th September at 3am (AEST). And if your business needs a mobile app, check out "Business Apps Powered by ciSUITE:". Update 13/9/17 ... YEP! We got it wrong for the new OLED iPhone (officially released today as "iPhone X" - pronounced "iPhone Ten"). There is no touchID but the name is still pretty boring. The iPhone 8 and 8 Plus have also been released and they are just a refresh of the iPhone 7 and 7 Plus - including retaining their touchID hardware.